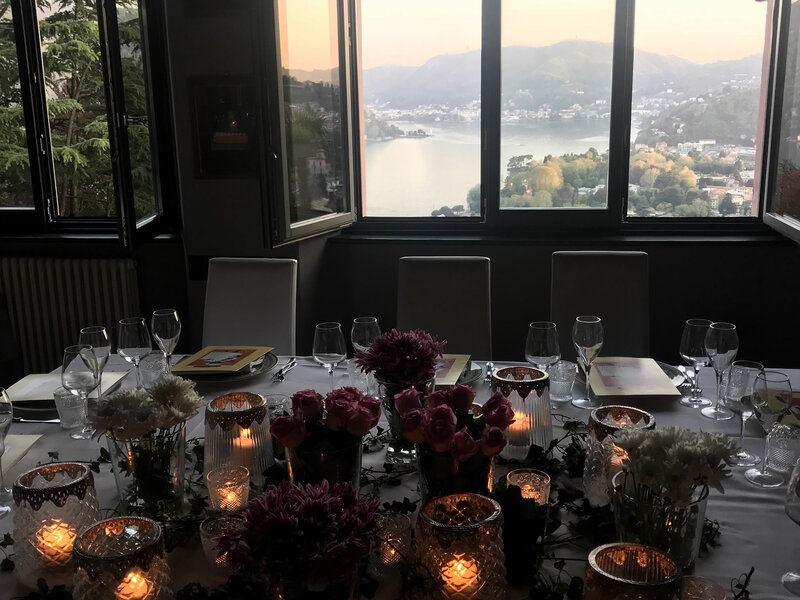 The Gatto Nero restaurant, with its wonderful view over lake Como, is located along the road that leads up towards Monte Bisbino, perched over the lake in a position that affords our dinners an unparalled panorama of the local scenery. Ideal for romantic encounters, as well as business and group dinners. The Gatto Nero restaurant is a popular destination for visiting celebrities, including George Clooney and other well-known Hollywood stars, Italian and international politicians, world-famous sportsmen and women, in addition to a large, local clientele. The restaurant has a terrace and spacious lounges overlooking the beautiful southwestern branch of Lake Como. Together with his collaborators, Claudio, Dalila, and Francesco, the owner, Paolo, puts passion into his work, striving to satisfy the highly demanding clientele of this "corner of paradise". The restaurant offers a private car park and shuttle service from private parking. The Gatto Nero restaurant is synonymous with Italian cuisine and Mediterranean specialties. Characterized by an elegant, refined atmosphere, it offers the best of regional Italian traditional cooking with a contemporary flavour, and a focus on Lombard and the Lake's gastronomic culture. Light and simple ingredients, always fresh and natural, are masterfully combined by the Chefs Andrea and David, newly arrived from the north-east of the peninsula after extensive experience abroad, ably assisted by Robert who, thanks to their lively imagination, create unusual and intriguing recipes on a daily basis.